The Children’s Museum of Manhattan was founded by Bette Korman, under the name GAME (Growth Through Art and Museum Experience), in 1973. With Harlem and the Upper West Side. With a challenge grant from the National Endowment for the Arts, a city-owned courthouse was renovated into a small exhibition, studio, and workshop and renamed the Manhattan Laboratory Museum. 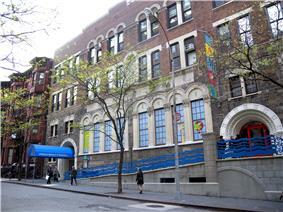 The museum became the Children’s Museum of Manhattan in the 1980s and moved to its current location on West 83rd Street in 1989. Its audience has grown to 325,000 visitors each year, which includes 30,000 children who visit as part of a school group and more than 34,000 children served through offsite outreach programs. The museum expanded exhibit and programming space adding a media center, an outdoor environmental center and an early childhood center. CMOM’s visibility and audience grew with the World of Pooh exhibit, created through a partnership with Disney. Wordplay, the first exhibit designed specifically for children 4 and younger opened. CMOM’s Executive Director, Andy Ackerman, served as president of the Association of Children’s Museum’s and hosted the 1999 ACM annual conference. 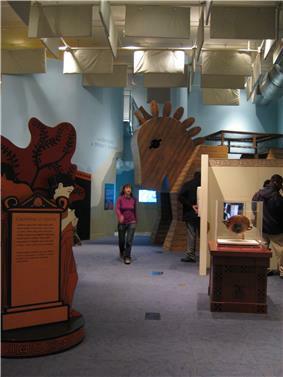 In 2000, CMOM completed construction to add a new entrance, lobby, and supplement exhibit space. ^ The Art Museum as Educator: A Collection of Studies as Guides to Practice and Policy. Berkeley: University of California Press. 1978. p. 373. ^ "About CMOM". Children's Museum of Manhattan. Archived from the original on 2008-03-09. Retrieved 2008-03-13.